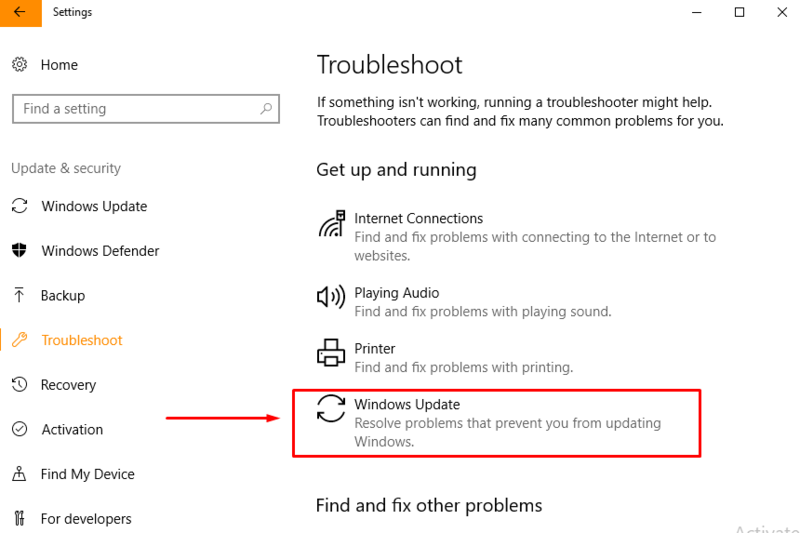 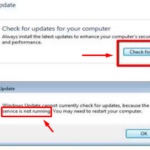 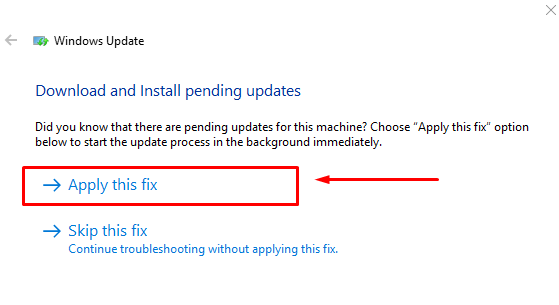 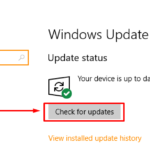 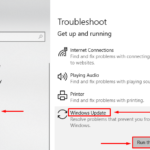 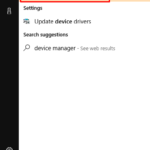 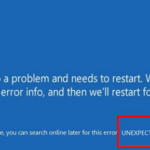 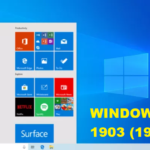 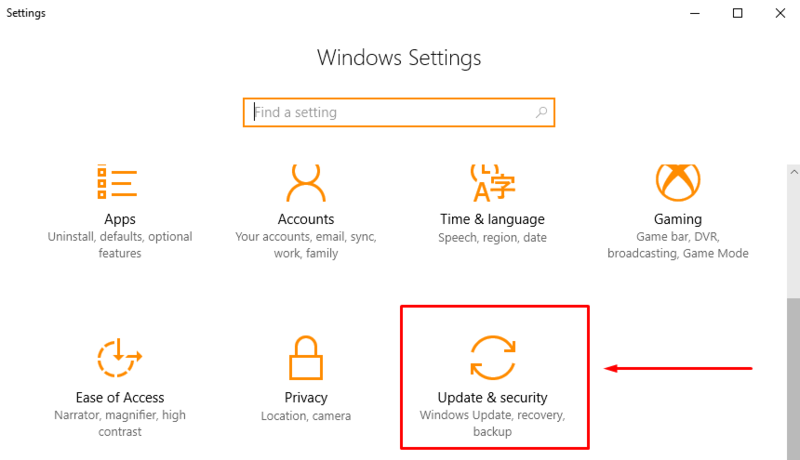 The meaning of error “Service registration is missing or corrupt” is a common Windows Update error in Windows 10.You need to fix this error on your own because Windows Update troubleshooter is unable to fix it. 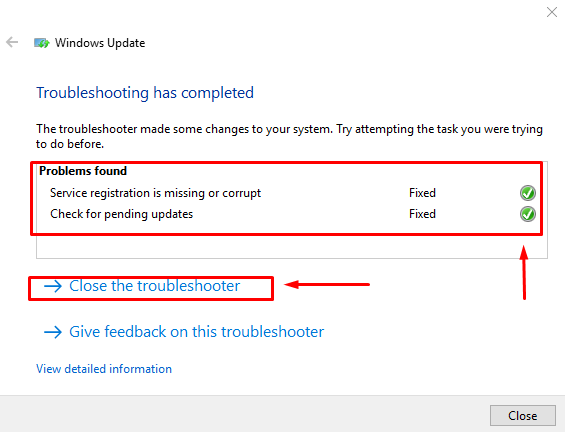 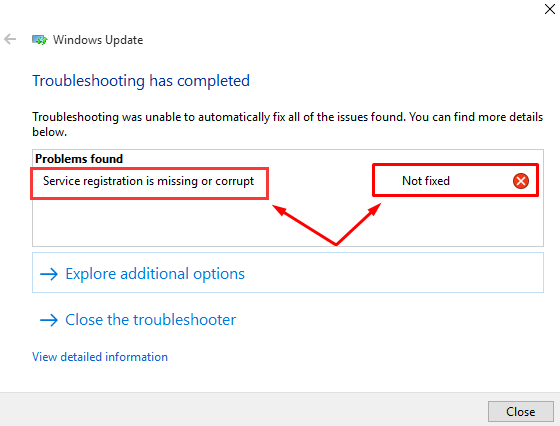 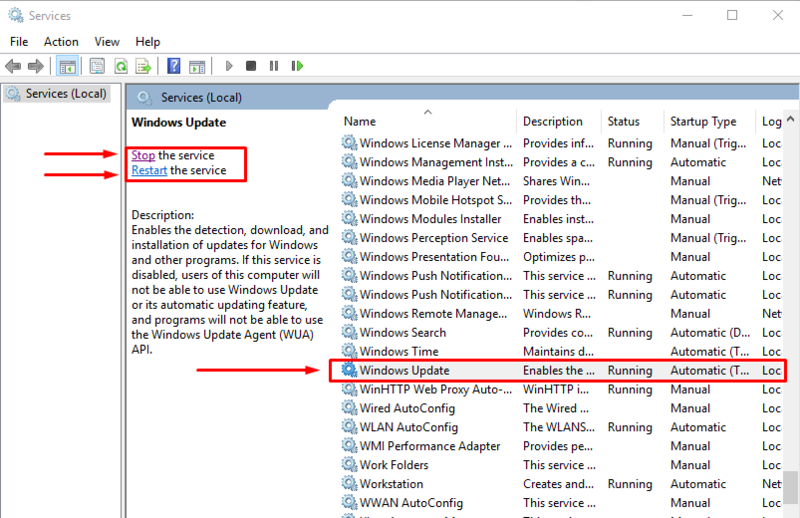 You can follow methods here to fix Service registration is missing or corrupt in Windows 10. 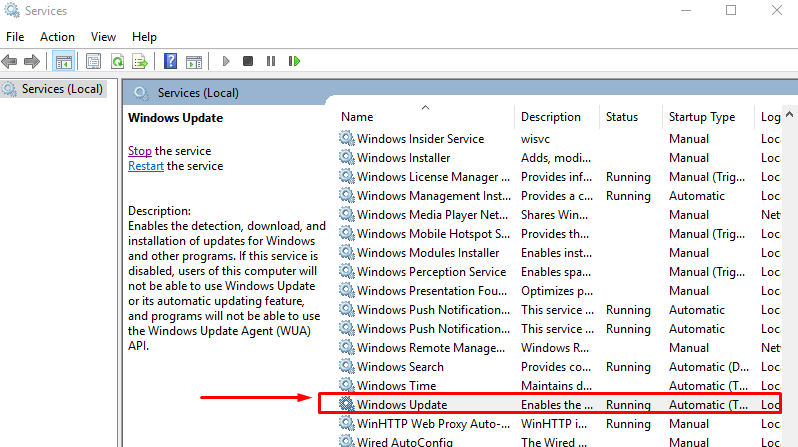 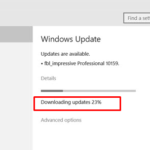 Press Windows key + R then type services.msc then click OK.
Scroll down then double click on Windows Update. 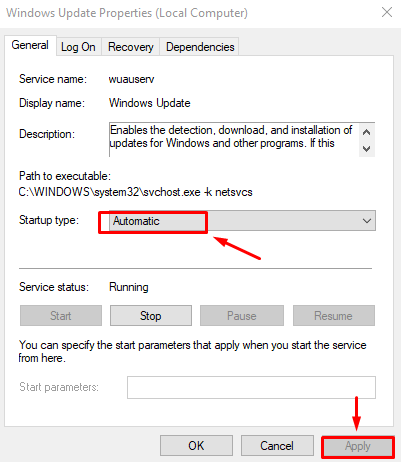 Set Startup type to Automatic and click Apply. 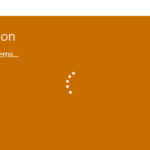 You can Stop it then Restart again.